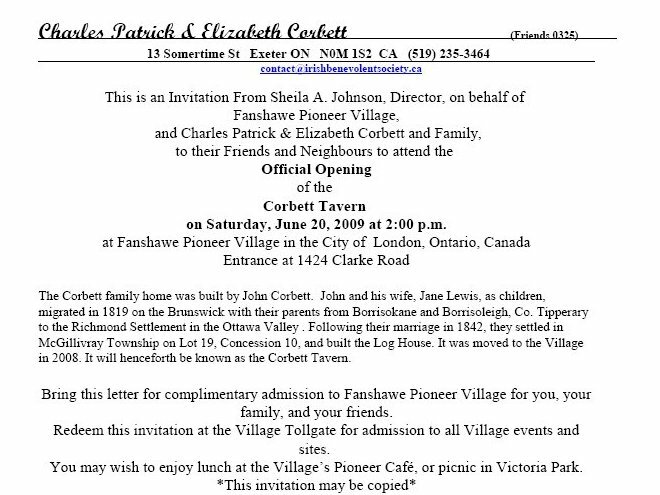 John Corbett family’s original log house is to be opened as the Corbett Tavern on June 20, 2009. (Patrick Corbett & Elizabeth Spearman) in 1818 as part of the Talbot Party aboard ‘The Brunswick’. settled on a 100-acre farm in McGillivray Twp. (descended from John Corbett) has done for the book on the McGillivray Township History. Pioneer Village. 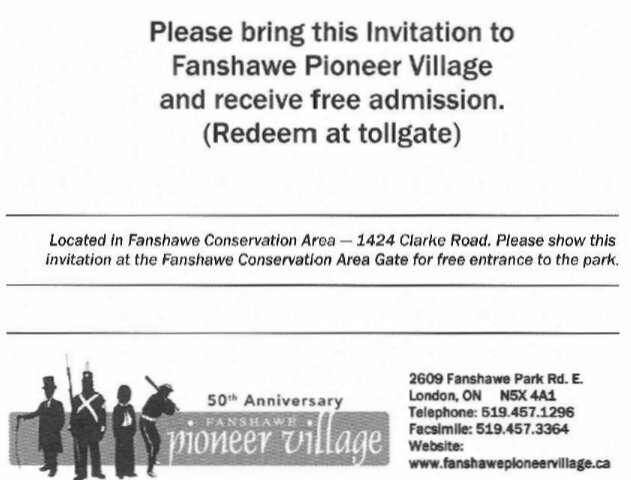 As a donation, the family bore the cost of moving the home to Fanshawe. It was suggested to me that your Bytown or Bust website might be interested in this event. I have attached an information letter and the front and back of the invitation to the event. Please let me know if this event interests you, or if you would like additional information. As you can see I have cc’d both my cousin and Charles Corbett, for their information. 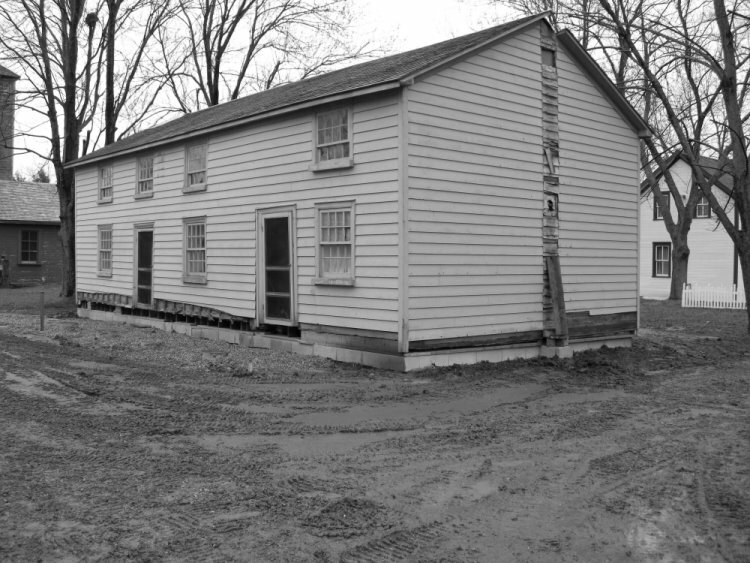 ATTACHED: as requested, a photograph of the Corbett Tavern newly placed on its foundation in Fanshawe Pioneer Village. Hello! I hope this message finds you well. Minnie Minerva Bealey and having 11 children. Their son Duncan Corbett Kenney b1898 married Gladys Muriel Nutkins b1905. hear all kinds of stories, memories, details, etc!! I would love to hear more from you!! Thank you for your time; I look forward to hearing from you soon. 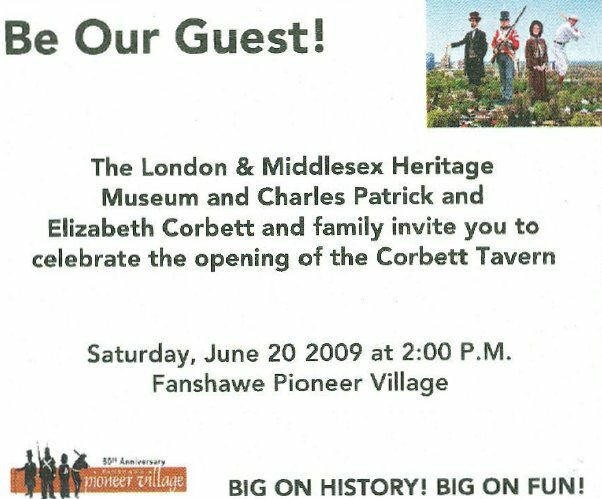 Here is a record for what is likely sone of the first Corbett men who came to Canada.